Traveling to Da Nang in addition to exploring the exciting sites such as Helio Center, Ba Na Hill, Sun Wheel Sun Wheel ... do not miss the opportunity to explore the unique Cham Museum Da Nang to admire traces of time through many precious objects. Da Nang has long become a popular tourist destination with its crystal-clear blue-white beaches, fine white sand and majestic mountains and fertile alluvial rivers. Danang owns many modern and unique architectural works attracting domestic and foreign tourists such as Han River bridge - the only bridge in Vietnam, Dragon Bridge - the world's longest steel bridge with the ability to spray water and fire ... Besides, Danang also has an ancient cultural relics from thousands of ancient people are attracting many visitors that is the Cham Museum - the only museum in the world about Champa civilization. Cham Museum was built in 1915 according to the idea of Henri Parmentier - a French archaeologist with a project of the Institute of Far East. This work was completed in 1919, located on a mound near the romantic Han River, which preserves and displays the most rare collections of sculptural art of Champa. At the suggestion of Parmentier, the Cham Sculpture Museum is designed in a blending of classic European style with the outlines of Cham architecture. 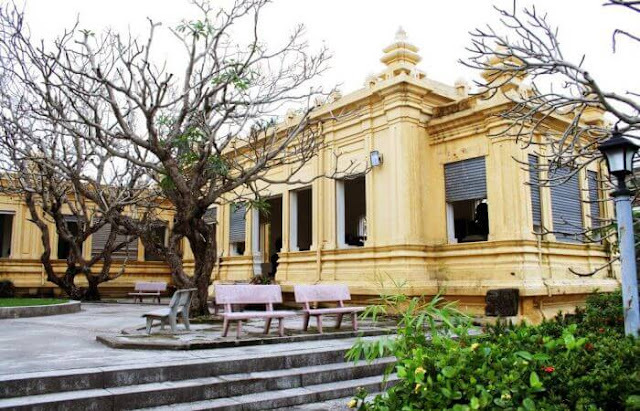 Cham Museum of Da Nang Sculpture became one of the earliest museums in Vietnam with outstanding architectural value. The sculptures displayed here express the spiritual life, culture and beliefs of ancient Cham people as well as the conceptual and visual thinking in architecture and sculpture. In addition, the Museum contains a large number of works depicting the gods in Hinduism and some other works with close-knit life. Henri Parmentier, archaeologist Henri Parmentier, has proposed the idea of dividing the artifacts in the Cham Museum into 10 zones, named after their origins and locations of discovery the artifacts. At present, there are nearly 2,000 artifacts and objects, of which about 288 exhibits are displayed in the museum and divided into exhibition areas including Quang Nam corridor, Quang Ngai; Quang Tri, Tra Kieu, Dong Duong, My Son, Thap Mam, Binh Dinh, Kom Tom and Extension areas. Each exhibition area is unique in each region and has its own unique culture. 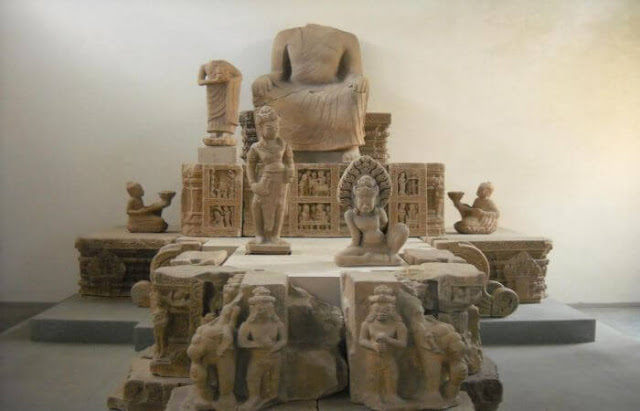 Besides the way of dividing artifacts by origin, there are many ways of arranging and classifying objects and other Cham sculptures such as age, material, work content, type of sculpture. In addition, the works of the Cham Sculpture Museum are divided into collections such as the contents of statues, temples, architectural details, objects soldier; Sandstone, copper, terra cotta and other materials. Traveling to Danang's favorite places and visiting the Cham Sculpture Museum, visitors will have the opportunity to admire the artifacts collected from a number of temples and Cham towers of the central provinces of Vietnam, from Quang Binh to Ninh Thuan. Currently, the museum has exhibited more than 300 artifacts are original sculptures made of sandstone dating from the seventh century - XV century, and some products made from terracotta. Some typical artifacts in the Museum such as musical instruments, radio stations ... of Champa ethnic people. In particular, there are also three national treasures belonging to the Champa culture, Tra Kieu Temple, My Son E1 Temple and the unique Tara Bodhisattva statue which attracts many international tourists to contemplate. At the Temple of My Son E1, visitors will be able to see the lively and artistic portraits of the everyday scenes of Hindu life in the forest. Tra Kieu temple is a masterpiece sculpture, which was carved very elaborately to the smallest details; It consists of two parts, the upper part has two rounded boards decorated with symmetrical lotus petals, the lower part is a four-sided square base with innumerable carved figurines. However, the most prominent of the hundreds of beautiful Cham sculptures is the Tara Bodhisattva, a unique bronze sculpture in the Cham Museum. 1,148m high bodhisattva statue is displayed in the Indochina room, beautifully seductive with delicate carvings. Therefore, it has attracted the curiosity and admiration of most visitors when visiting here. 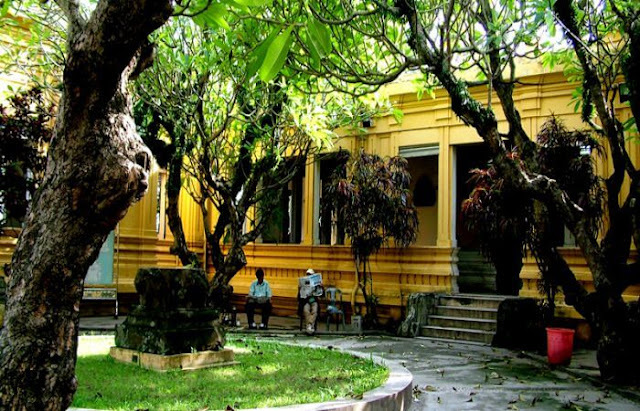 Coming to the Cham Museum in Da Nang, visitors are like a relive the flourishing of sculptural art. In it, these works convey the vivid and true image of the ancient religious symbols along with the mystical spiritual world. It is more interesting to come here as well as enjoy the graceful dance from the Cham girls at the museum grounds. When walking through each room in My Son or Quang Binh Corridor, Quang Nam, you will be able to see the artistic masterpieces of Brahma, Shiva and My Son temple, while admiring the talents of the ancient artisans. In particular, images of Hindu deities, mascots or scenes of daily life are often elaborately carved to retain the mysterious beauty until now challenging the destruction of time. 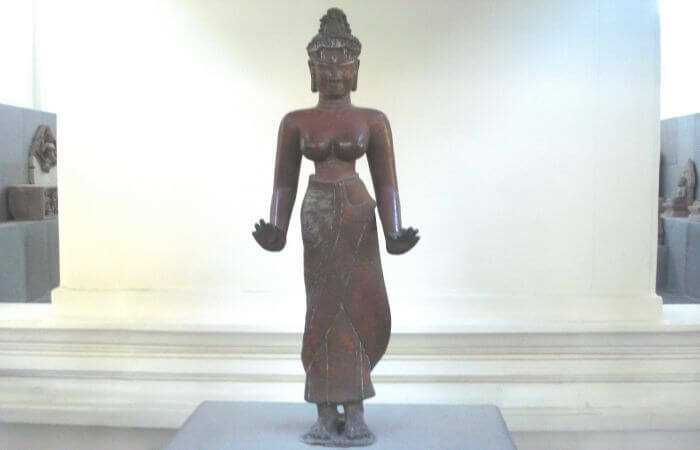 When coming to Danang, in addition to the Da Nang Museum of Fine Arts, visitors should spend some time visiting the Cham Sculpture Museum for an opportunity to better understand the beauty of sculpture - a unique culture of the old Kingdom of Champa. Once inside this unique space, visitors will be able to "leave" all the usual sadness in life and drown in the tranquility of the place. The Cham Sculpture Museum has become the pride of Da Nang people as the only place still bearing the mark of Champa civilization.